“I Have a Dream” is possibly one of the most iconic speeches of all time. Maybe you feel the same way when you listen to the words – goosebumps! 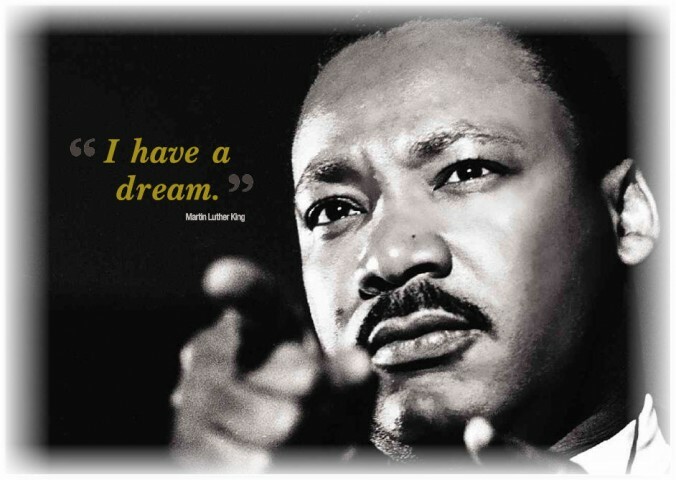 Dr. Martin Luther King Jr. was a man with a vision – a world united no matter what colour, creed, race, religion or any other differences that bigots zone in on. To hold hands and declare we are mankind. It was a speech set in a time of racial segregation, racial hatred and injustice. I am reminded of that speech by Danielle Des. I met Danielle through a bloggers’ group on Facebook’s “Cafe Blog.” She is a talented lady who not only writes great stuff but she can dance – and how! Today was monumental in my professional stepping career because Soul Steps performed live on Good Day New York on Fox 5 Television! This televised performance of “Hands Up” was a powerful and thought proving [sic] piece that coupled Dr. Martin Luther King’s “I Have a Dream Speech” with unique and intricate sounds created by our bodies. Would you like to watch the Fox 5 Television video? Enjoy it as much as I did? Let me know. For those of you who may not be familiar with the 1963 speech of Martin Luther King, here is the full text. This is also a link to the video of the speech. Fast forward to 2016 and don’t you think Dr. King would have included Muslims? Six Years Old Do You Remember? Beautiful commemoration of Dr. King! Well, thank you, Danielle. First, you inspired the post and I hope everyone watched the stepping! Second, I had the utmost respect for Dr. King. Reading the text of his speech today, I could instantly recall the cadence of his voice and the truth of what he said, inspiring many people, black and white, across the world. I include myself, as a 16-year-old in Liverpool, England at the time. I commented earlier today on this same post when I added that it is sad that those great men, charismatic leaders, of the 60s were assassinated. Of course, I was referring to Dr. King and JFK. However, Dr. King left a legacy for us all to admire and strive to uphold his standards.